In the Ayurveda, the sweet almond oil is considered an essential nutrient for the brain, nervous system and is known to bring about lasting. Recommended to provide massage babies. In Ayurveda, the sweet almond oil is considered to be an essential nutrient for the brain, nervous system and it is known to increase longevity. 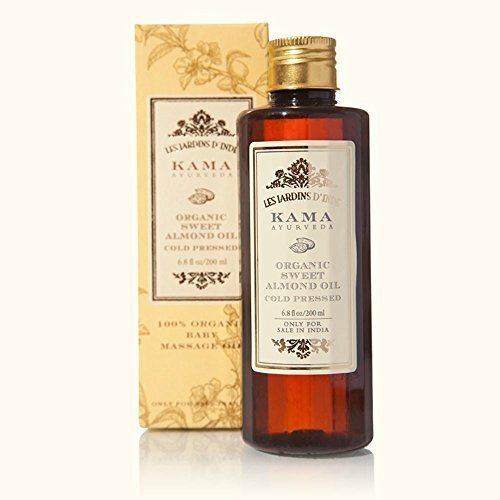 This almond oil is 100% pure, cold pressed, with organic almonds grown in the Himalayas. Rich in nutritional elements and vitamins A & E, this oil improves skin colour and raises its natural brightness. It nourishes the skin and brightens the black circles. When used on the body, it reduces irritation and inflammation of the skin. A head massage with this oil nourishes and softens the cuticle of the hair, which helps to control to fall, and to add shine to the hair. Recommended for massage babies.